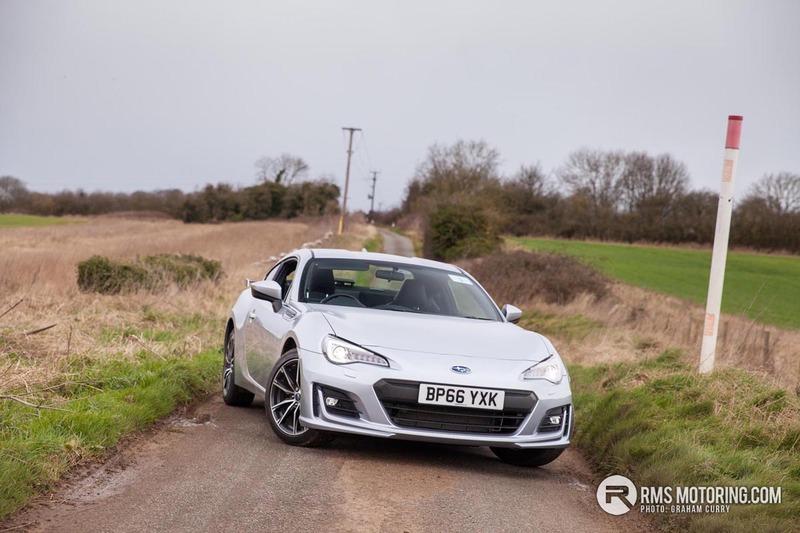 As a long time admirer of the Subaru brand, mainly due to its huge success in rallying over the years, I was looking forward to getting my hands on the updated 2017 Subaru BRZ at the UK press launch and first drives at the start of the week. Arriving at Cowley manor in the Cotswold area of England I was greeted with quite the line up of cars outside the main house as alongside the improved Subaru BRZ was a line up of 2017 Subaru Levorg’s which I will report on in the coming days. 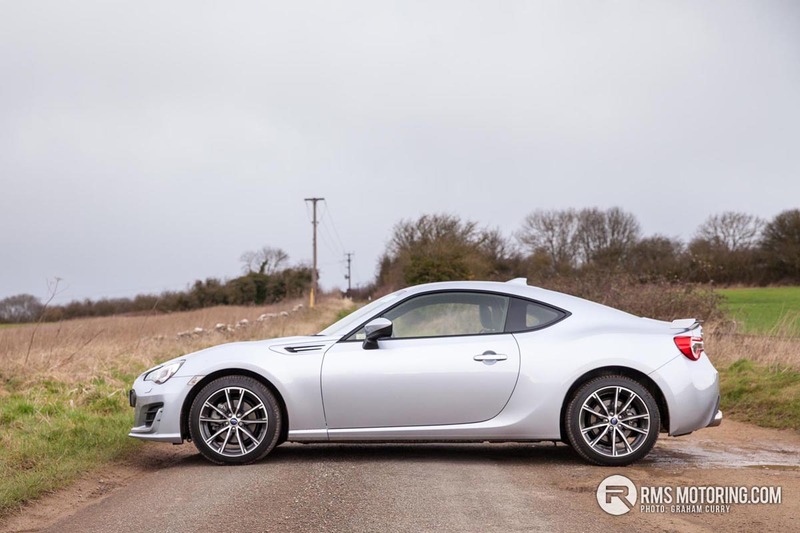 For anyone but a true petrol head, the BRZ may be an unknown, because to the untrained eye it is more or less a Toyota GT86 and this basically is the case, or perhaps, is it that the better known GT86 is more or less a BRZ? Whichever way you look upon it, in simple terms Subaru and Toyota joined forces some years ago to create a real drivers car – a back to basics front engine, rear-wheel drive, 2 plus 2 with Subaru’s potent boxer engine being used whilst Toyota developed most of the rest. Being a company producing nothing but all-wheel drive vehicles, it didn’t make sense for Subaru to set about developing a small rear-wheel drive sports coupe from scratch and as such both manufacturers got the best that each could offer each other and we the driver get a great car no matter which brand you may be loyal to. Each brand then set about fine tuning and refining their own models to best suit their customers needs and to set them apart from each other. 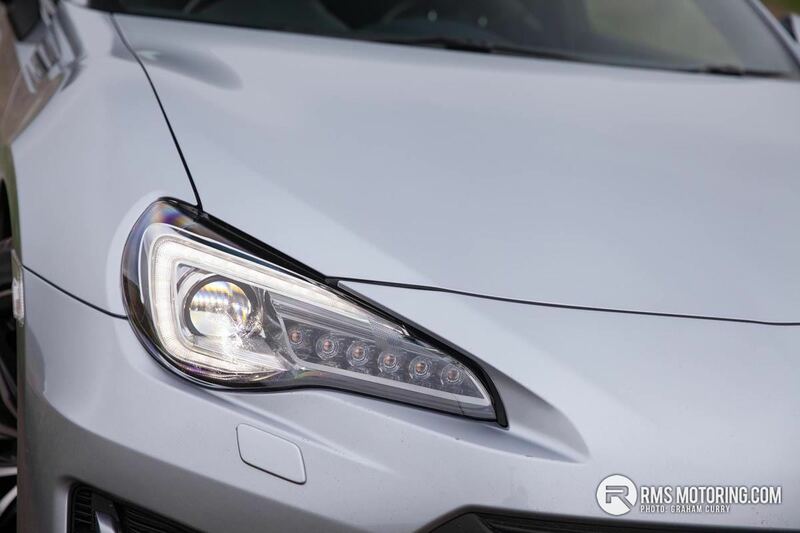 Toyota got the holeshot with sales when first launched, thanks to a massive marketing campaign and as such the BRZ remained an unknown as it sold in such small numbers. 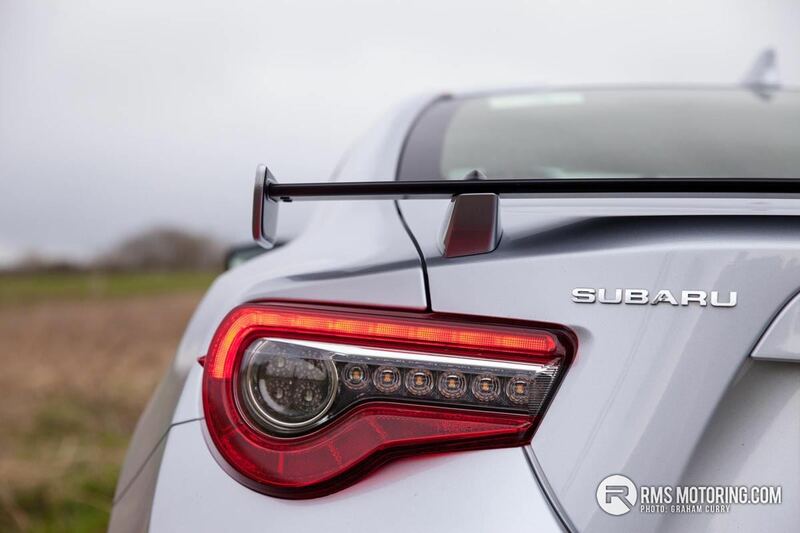 However, Subaru’s BRZ now has its chance to shine with a 2017 makeover that has made Subaru UK shout aloud and rightly so as there are so many car lovers, enthusiasts and drivers out there that have been missing out on this hidden gem. 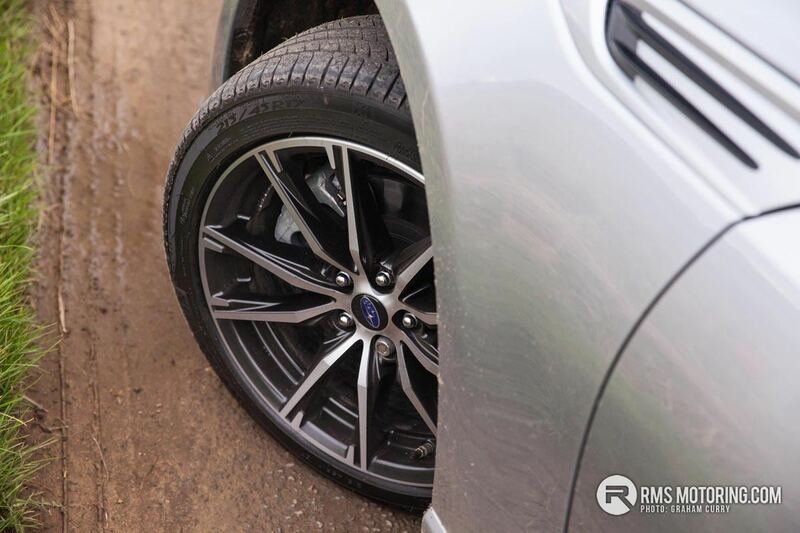 The 2017 BRZ looks fantastic and has received a new 10 spoke design 17” alloy wheel which aids brake cooling as well as saving weight whilst the BRZ has gained a lower, wider stance with a redesigned front bumper. 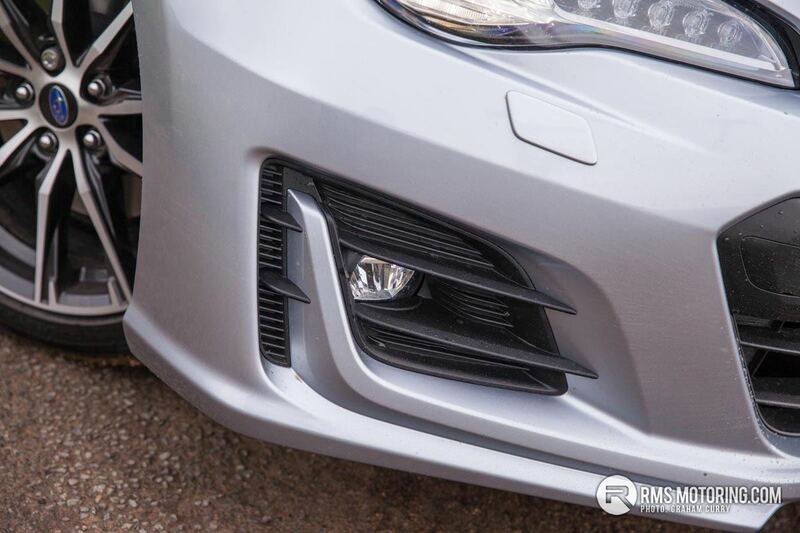 A first for Subaru adds full LED automatic headlamps with C shaped daytime running lights with LED front fog lamps whilst the rear light clusters are redesigned and incorporate LED technology. 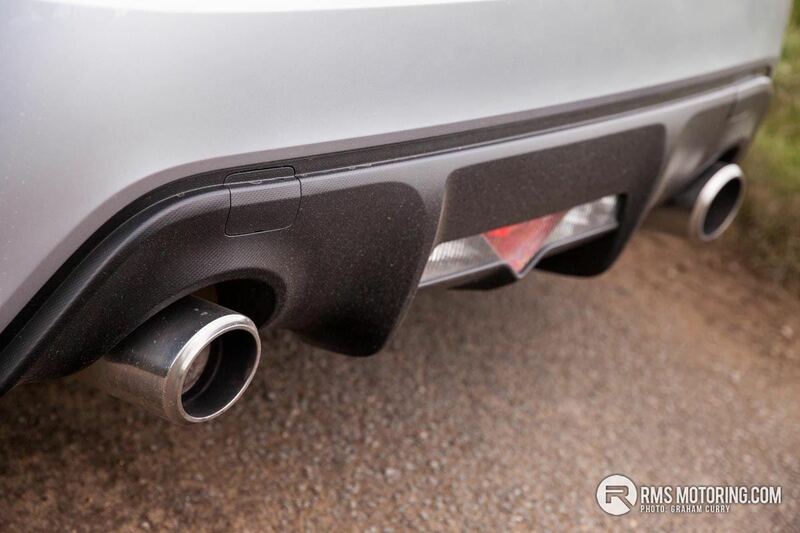 The rear bumper houses a twin exit exhaust system and the rear spoiler has been changed to a rather sporty pedestal version. 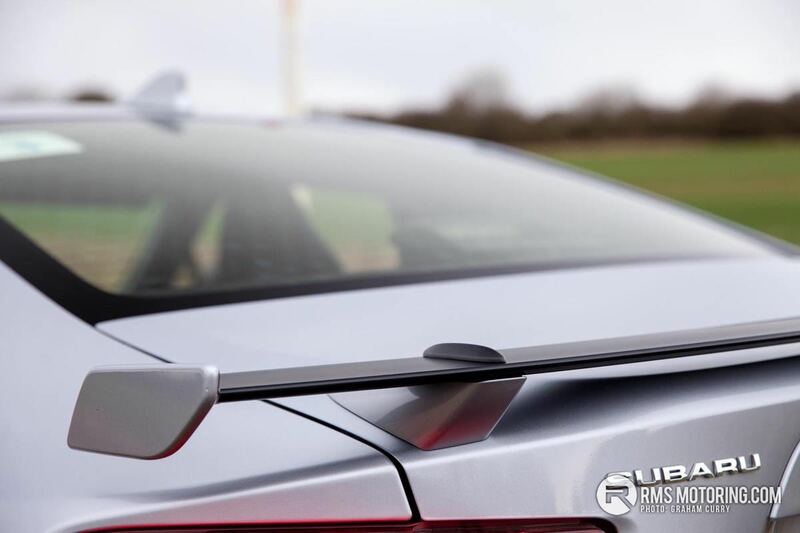 Some say it is a little ‘Halfords’ and ‘boy racer’ however I would disagree in the fact that the styling of the new spoiler lends itself to the race circuit and some sporting pedigree and is still relatively subtle despite protruding from the boot lid. The BRZ is available in a mix of metallic or pearl colours from Black, White, Grey and Silver to the stunningly gorgeous WR Blue. 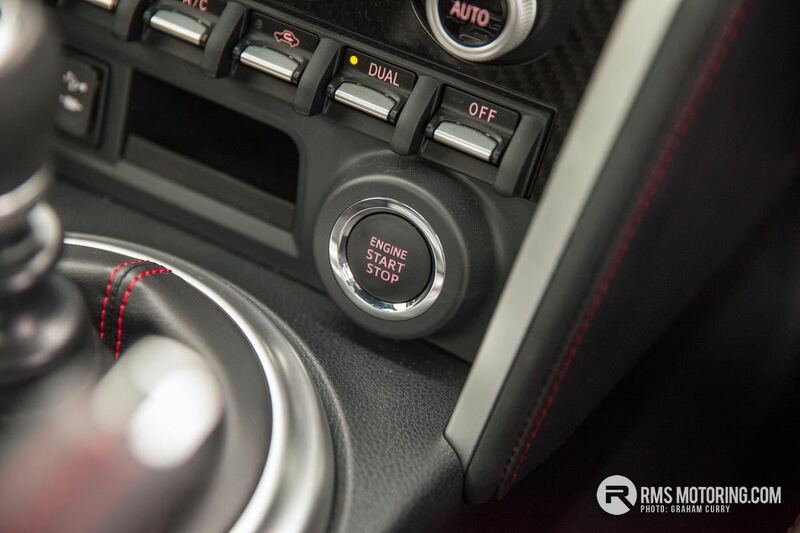 With a good amount of standard equipment available, Subaru only have one model of BRZ available which is an SE Lux. 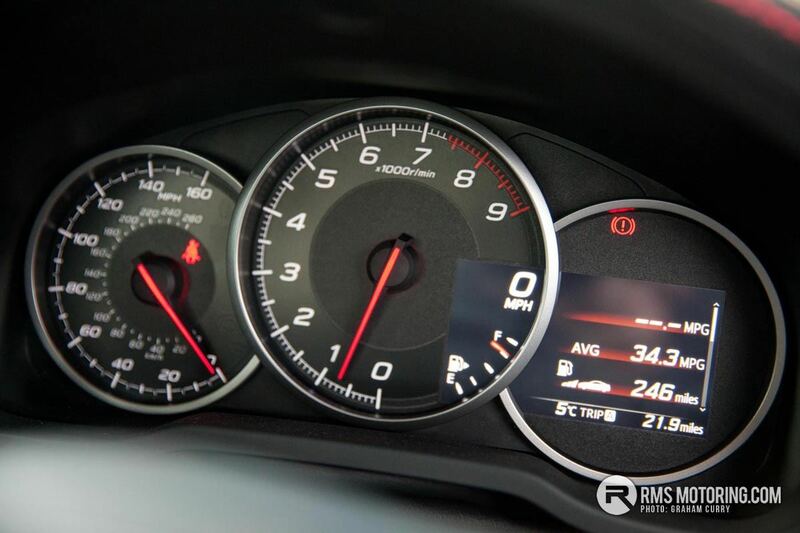 Inside the BRZ has received some new features to enhance the experience for 2017 which include a 4.2” LCD screen built into the right hand side of the dial cluster which includes read outs such as G-Force, Steering Angle, Brake Force and Torque/Power curves as well as a lap timer. 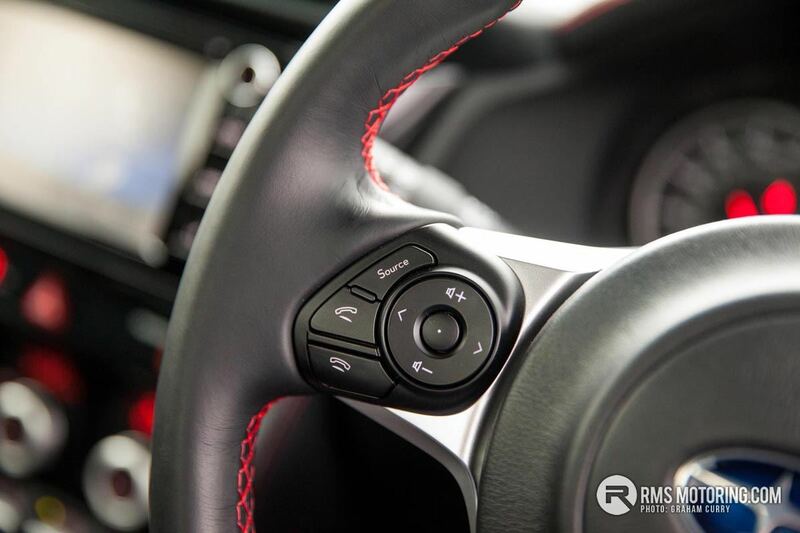 To accompany this race inspired gadgetry is a smaller multi-function steering wheel clad in leather with red stitching whilst the leather and red stitching theme is carried throughout the cabin to accentuate the leather/alcantara mix heated seats with red BRZ logo prominent on the seat backs. The seats themselves provide all the support anyone would need, even on a spirited run around the stunning Cotswold area they hugged tight and overall the cabin has less cheap material than expected. Some of the switch-gear and materials still feel like a Subaru from a decade ago but overall good. 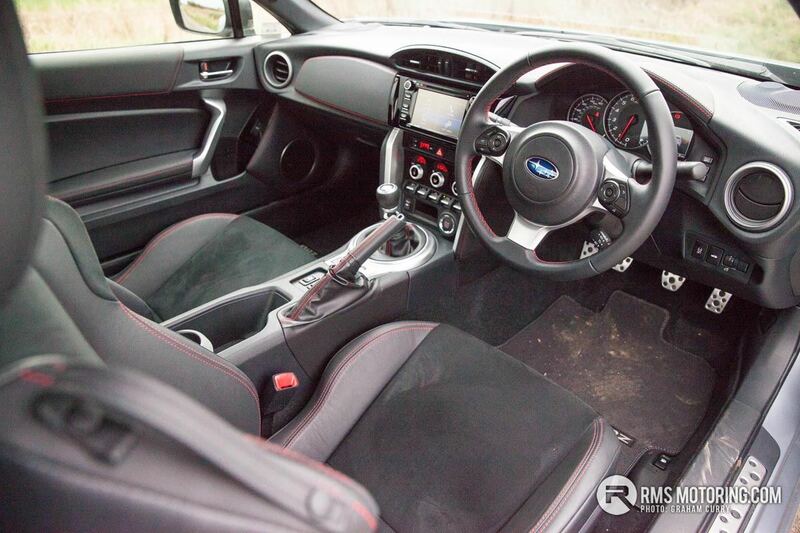 I noted earlier about the BRZ being a 2 plus 2, however I would call it a two seater as to be honest, despite having ISOFIX in the rear two seats, the BRZ wouldn’t accommodate anything much greater in size than a miniature dachshund with any sort of comfort so as such forget about this as any sort of family car. Key-less entry with a start button, dual climate control with air conditioning and plenty of cup and bottle holders keep convenience paramount with a load space in the boot offering enough room for a pair of duffle bags or even a small fuel can, helmet and racing suit for a hill climb or track day assault. 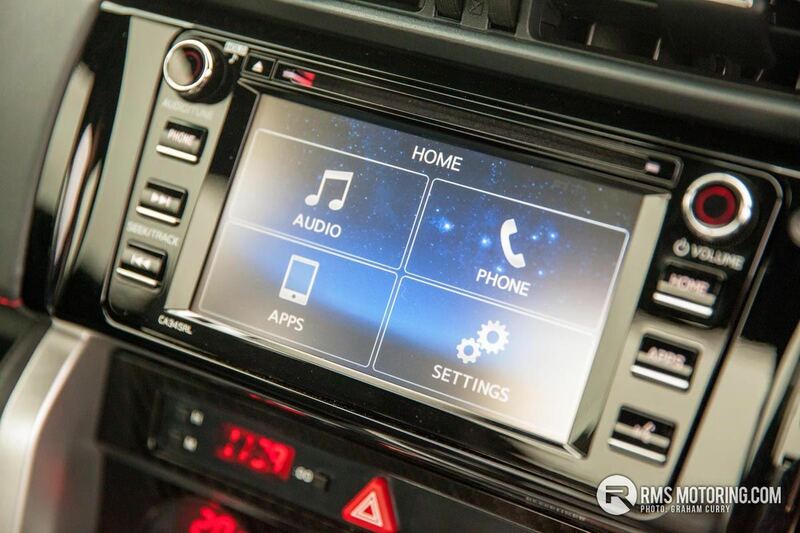 Infotainment has had a major update for the current model which removes the retro CD player that was akin in its looks to something you would insert a cassette into and is replaced with Subaru’s 6.2” touch-screen Starlink system. 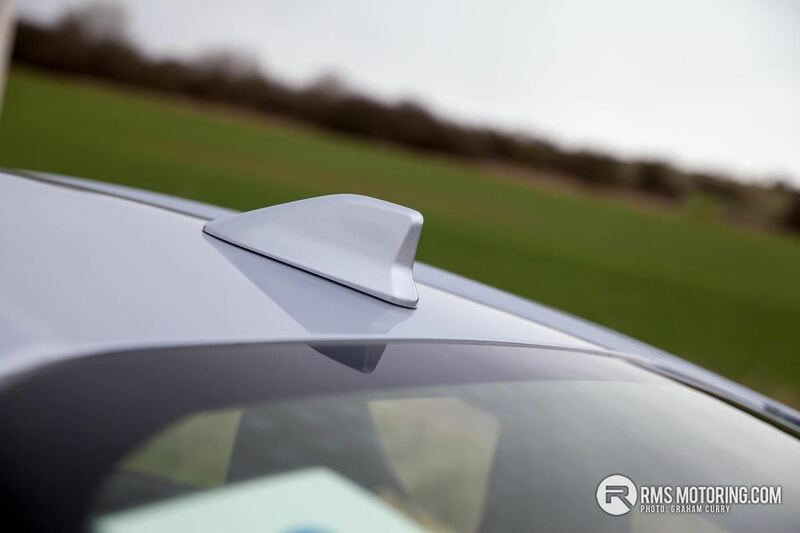 Offering voice control, CD playback, USB & AUX input as well as Bluetooth with added phone connectivity via the Starlink app things have certainly taken a good turn however I was disappointed not to see DAB radio as standard on a 2017 car. 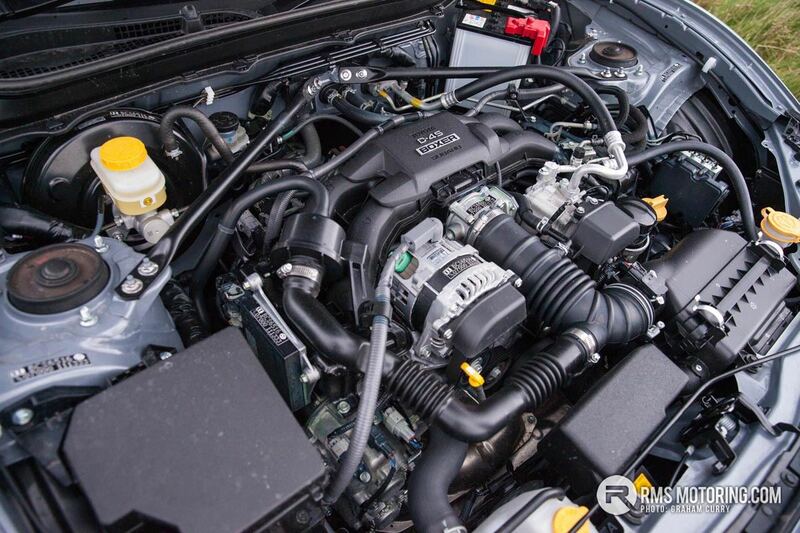 Engine wise the BRZ is fitted with Subaru’s own 2.0L Boxer engine producing 197bhp with 151lb/ft which maybe doesn’t seem like a lot but with a usable range of power, short ratio gearbox and a love for being revved the BRZ certainly is no slouch when kept around 4500rpm or above. 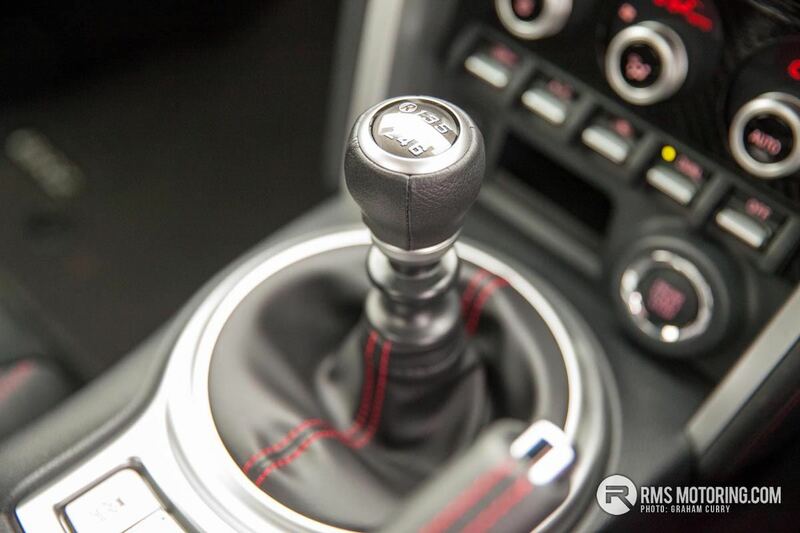 A six speed manual gearbox is on offer which is fantastically precise to use and will see 0-62mph in a decent 7.6 seconds with a top speed of 140mph. 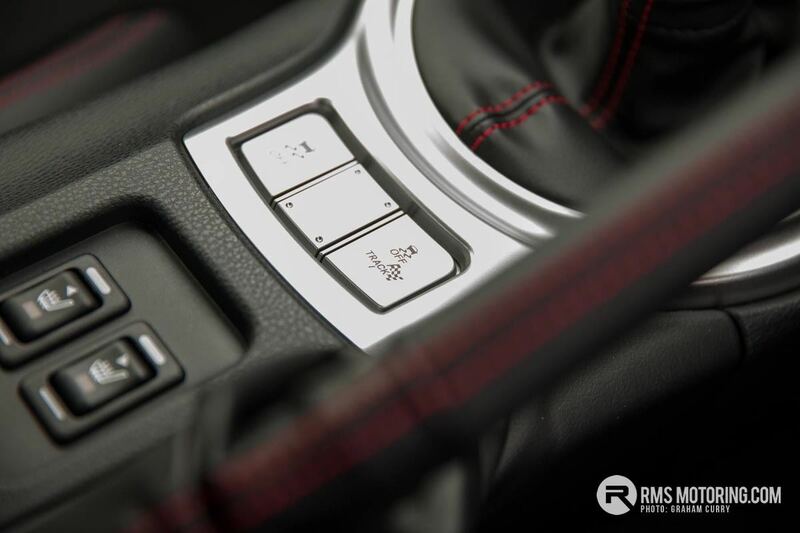 Whist it is complete sacrilege, a six speed automatic ‘box which blips the throttle on downshift is also available which will see 0-62mph in 8.2 seconds with a top speed of 130mph. For 2017 the engine received some upgrades including a stronger cylinder block, polished valve stems, lower friction cams and lighter rocker arms which makes for a more responsive drive than before. Around town the whole package is very refined indeed, yet with track mode activated (turns off driver aids and leaves you in full control) on a good meandering B road, things become a lot more involved and the BRZ really does show its true colours and highlights Subaru’s intimate understanding of how a car should handle. 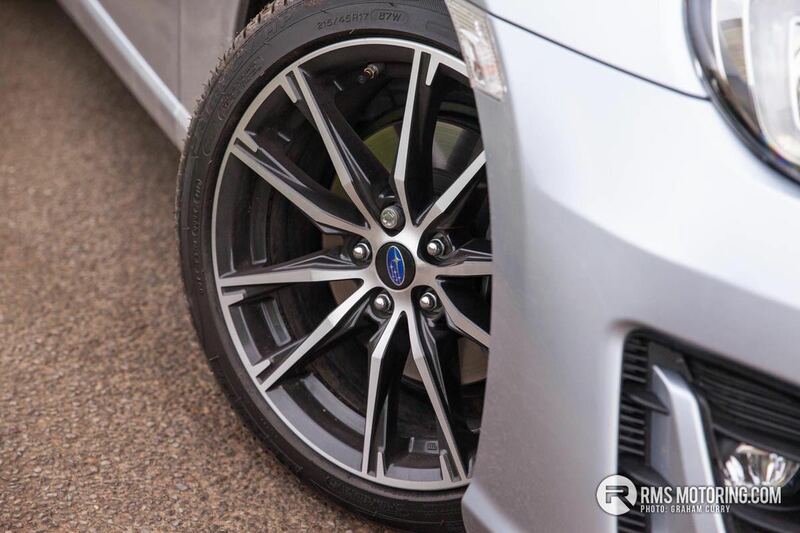 BRZ is fitted with Subaru’s Vehicle Dynamics Control (VDC) that constantly monitors steering angle, engine speed, selected gear and braking conditions to distribute torque to the appropriate wheel and automatically optimise traction without hindering drivability. 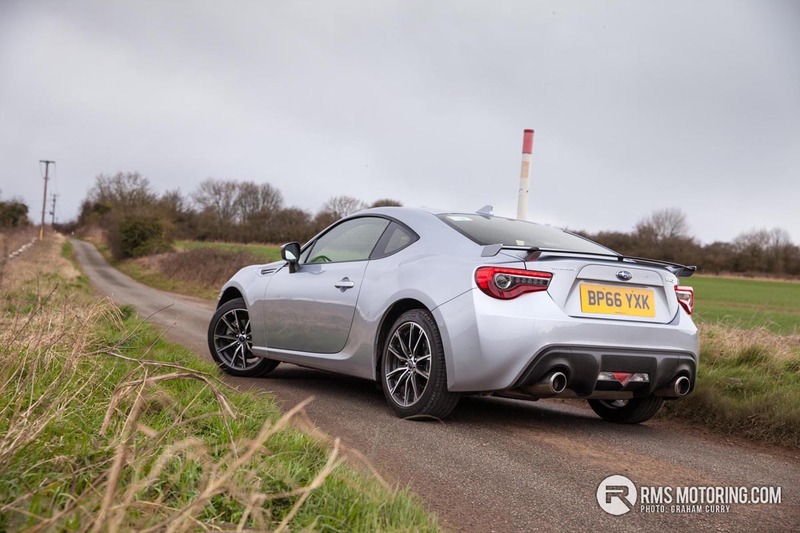 A weight distribution of 53/47 combined with a limited slip differential and suspension tweaks for 2017 to reduce body roll, aid precision and add comfort all seem to work wonders as compared to a GT86 I found the BRZ to be a lot more pleasant on the road despite a lot of road/wind noise coming into the cabin. 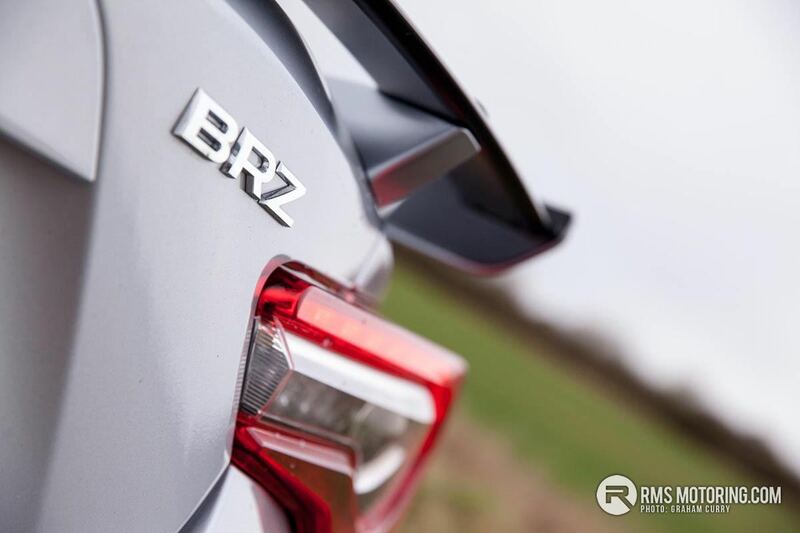 The BRZ is priced at £26,050 making it around £1500 more affordable than the equivalent spec of GT86 with annual road tax coming in at £230 for the manual model whilst the automatic is only £185 with combined real world economy being 35mpg for the manual with the auto seeing a return closer to 40mpg. 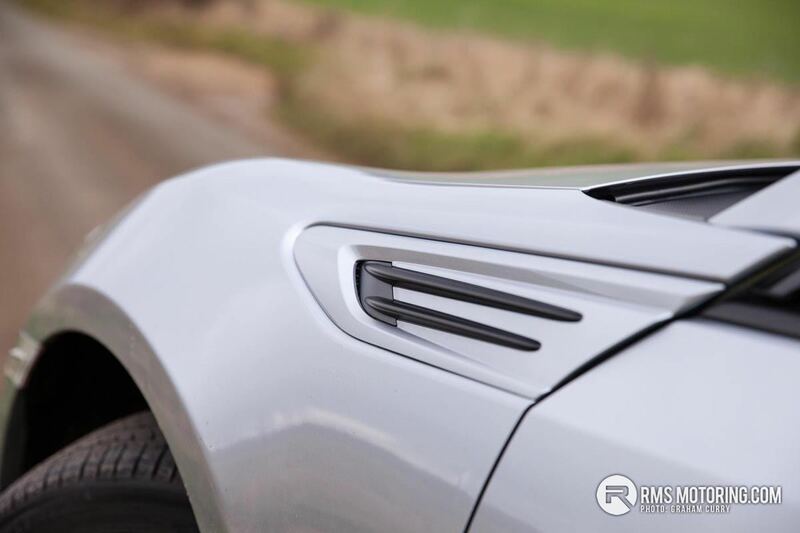 The only real direct rival is the Toyota GT86 with Audi’s TT or Nissan’s 370Z offering quite different alternatives with a higher price to pay at the same time. 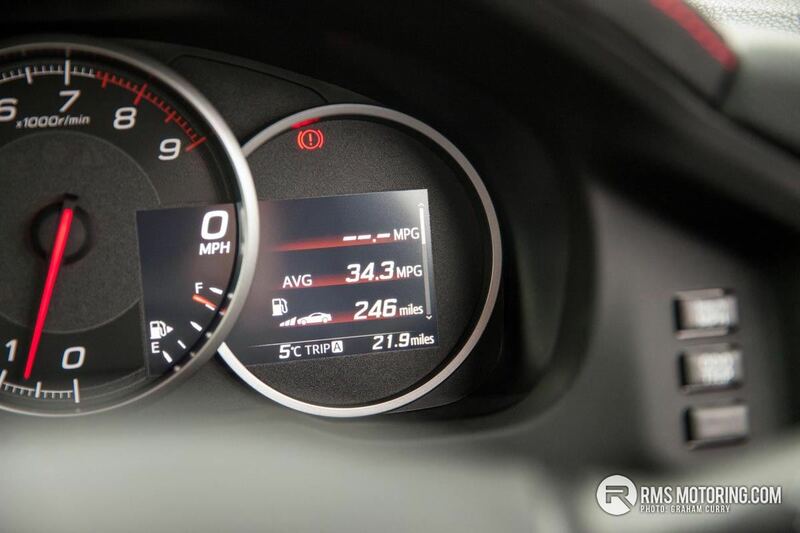 Overall I found the BRZ to be a well balance, fun and engaging drivers car with just enough practicality for the type of car it is and any minor gripes can be forgiven for the way it drives. Had a soft spot for these and the Toyota from they were launched. 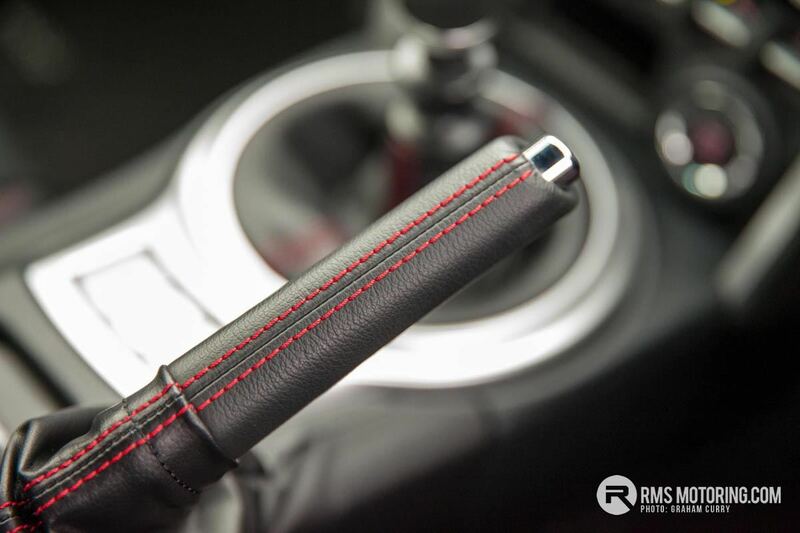 Was very close to signing on the dotted line for a GT 86 TRD and then the Golf R lease came up. Sometimes I regret that decision. 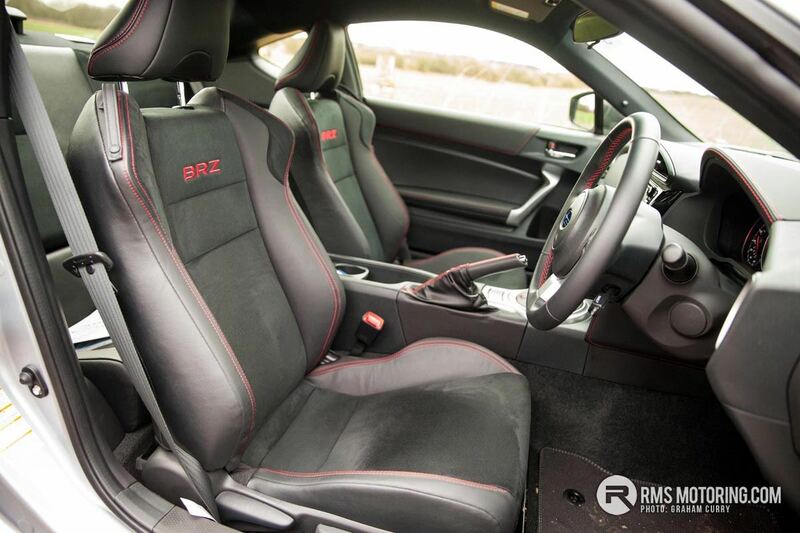 The Toyota is better finished inside, I looked at a brz before I bought my gt86. 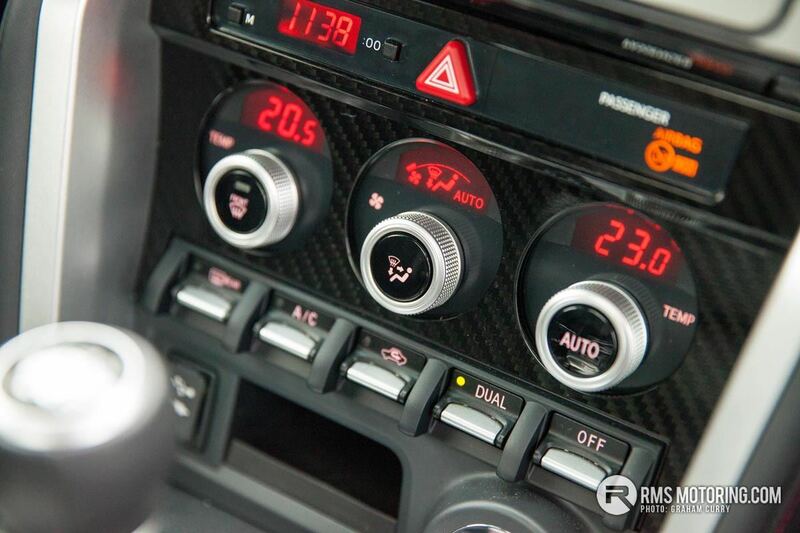 | The Toyota is better finished inside, I looked at a brz before I bought my gt86. Cool wee cars. Saw a blue one today in Portstewart , looked really well. I borrowed a 17MY Toyota from CH Dundonald a few weeks ago. Much nicer place to be than my one except I had full leather. They need more power. Would love to see a blue one with gold prodrives or Oz's to see what it'd look like. | I borrowed a 17MY Toyota from CH Dundonald a few weeks ago. Much nicer place to be than my one except I had full leather. They need more power.